This is without doubt, one of the most exciting wine regions in Portugal today. A vast area of plains, and undulating hills, it is a hot, dry, arid, region, sparsely populated, yet now producing some of the most modern and innovative Portuguese wines of all, which are constantly winning medals in international wine competitions. It used to be a very poor area, where quality didn’t matter, be it wine, or produce, it was a region focussed on wheat production. Nowadays, it’s at the forefront of wine innovation as far as Portugal is concerned, with international winemakers at the helm of many wineries, improved cooperatives, with high quality boutique wineries, and forward thinking traditional estates. It is also inextricably linked with the wine industry, as one of the key regions for cork production in the country – in a world, where there is much debate about cork, and where the screwcap initiative continues its march forward, from a local perspective, there is great reason for concern. 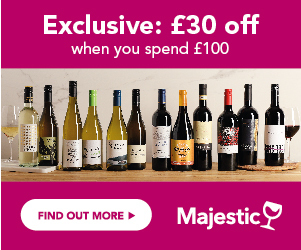 As far as wine writers and wine industry experts are concerned, this is now a region that delivers some incredibly complex and intense wines, at some of the best value on the market – yet the frustration for those who know the potential, is that the majority of UK wine consumers still haven’t switched on to the sheer quality that this country, and more specifically, this region, has to offer. 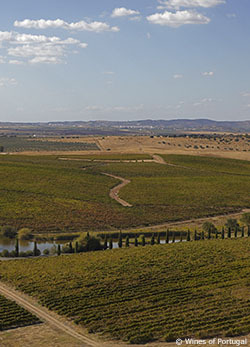 The region produces a few whites, but it is really the land of the reds, with rich, spicy, velvety reds produced mainly from the Aragonez (the Spanish Tempranillo), Trincadeira and Castelao. Some of the highest quality and longest ageing red Portuguese wines are produced in this region. Established sub-regions in this area include Borba and Reguengos de Monsaraz.